What do Albert Einstein, Neils Bohr, Paul Dirac, and Marie Curie have in common? They each won the Nobel prize in physics. And today, Takaaki Kajita and Arthur McDonald have joined their ranks, thanks to a pioneering turn-of-the-century discovery: in defiance of long-held predictions, neutrinos shape-shift between multiple identities, and therefore must have mass. The neutrino, a slight whiff of a particle that is cast off in certain types of radioactive decay, nuclear reactions, and high-energy cosmic events, could be called… shy. Electrically neutral but enormously abundant, half the time a neutrino could pass through a lightyear of lead without interacting with a single other particle. According to the Standard Model of particle physics, it has a whopping mass of zero. As you can imagine, neutrinos are notoriously difficult to detect. But in 1956, scientists did exactly that. 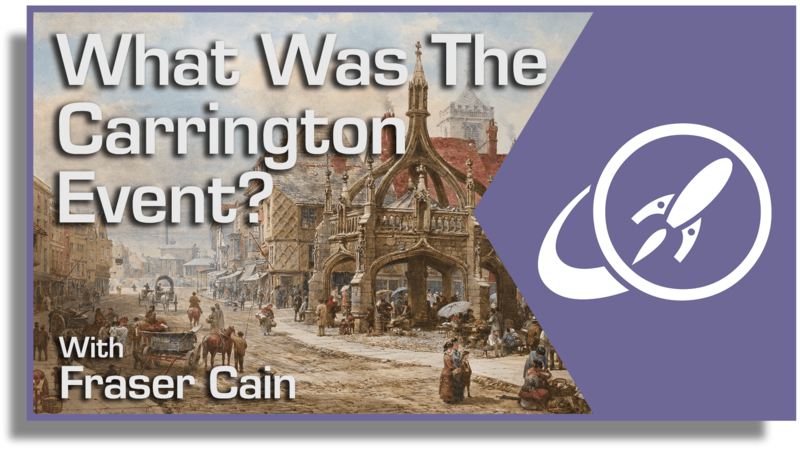 And just a few years later, a trio of physicists determined that neutrinos came in not just one, not two, but three different types, or flavors: the electron neutrino, the muon neutrino, and the tau neutrino. But there was a problem. Sure, scientists had figured out how to detect neutrinos—but they weren’t detecting enough of them. In fact, the number of electron neutrinos arriving on Earth due to nuclear reactions in the Sun’s core was only one-third to one-half the number their calculations had predicted. What, scientists wondered, was happening to the rest? Kajita, working at the Super-Kamiokande detector in Japan in 1998, and McDonald, working at the Sudbury Neutrino Observatory in Canada in 1999, determined that the electron neutrinos were not disappearing at all; rather, these particles were changing identity, spontaneously oscillating between the three flavor-types as they traveled through space. Moreover, the researchers proclaimed, in order for neutrinos to make such transformations, they must have mass. This is due to some quantum funny business having to do with the oscillations themselves. Grossly simplified, a massless particle, which always travels at the speed of light, does not experience time—Einstein’s theory of special relativity says so. But change takes time. Any particle that oscillates between identities needs to experience time in order for its state to evolve from one flavor to the the next. Kajita and McDonald’s work showed that neutrinos must have a mass, albeit a very small one. But neutrinos are abundant in the Universe, and even a small mass has a large effect on all sorts of cosmic phenomena, from solar nuclear physics, where neutrinos are produced en masse, to the large-scale evolution of the cosmos, where neutrinos are ubiquitous. The neutrino, no longer massless, is now considered to play a much larger role in these processes than scientists had originally believed. This is not the first time physicists have been awarded a Nobel prize for research into the nature of neutrinos. In 1988, Leon Lederman, Melvin Schwartz, and Jack Steinberger were awarded the prize for their discovery that neutrinos come in three flavors; in 1995, Frederick Reines won a Nobel for his detection of the neutrino along with Clyde Cowan; and in 2002, a Nobel was awarded to Raymond David Jr., the oldest person ever to receive a the prize in physics, and Masatoshi Koshiba for their detection of cosmic neutrinos. Kajita, of the University of Tokyo, and McDonald, of Queen’s University in Canada, were awarded the prestigious prize this morning at a news conference in Stockholm. 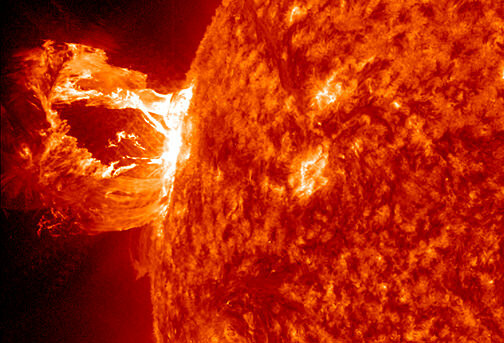 Over the course of April 28–29 a gigantic filament, briefly suspended above the surface* of the Sun, broke off and created an enormous snakelike eruption of plasma that extended millions of miles out into space. The event was both powerful and beautiful, another demonstration of the incredible energy and activity of our home star…and it was all captured on camera by two of our finest Sun-watching spacecraft. Watch a video of the event below. Made from data acquired by both NASA’s Solar Dynamics Observatory (SDO) and the joint ESA/NASA SOHO spacecraft, the video was compiled by astronomer and sungrazing comet specialist Karl Battams. It shows views of the huge filament before and after detaching from the Sun, and gives a sense of the enormous scale of the event. At one point the plasma eruption spanned a distance over 33 times farther than the Moon is from Earth! Filaments are long channels of solar material contained by magnetic fields that have risen up from within the Sun. They are relatively cooler than the visible face of the Sun behind them so they appear dark when silhouetted against it; when seen rising from the Sun’s limb they look bright and are called prominences. When the magnetic field lines break apart, much of the material contained within the filaments gets flung out into space (a.k.a. a CME) while some gets pulled back down into the Sun. These events are fairly common but that doesn’t make them any less spectacular! This same particularly long filament has also been featured as the Astronomy Picture of the Day (APOD), in a photo captured on April 27 by Göran Strand. For more solar news follow Karl Battams on Twitter. Image credits: ESA/NASA/SOHO & SDO/NASA and the AIA science team. 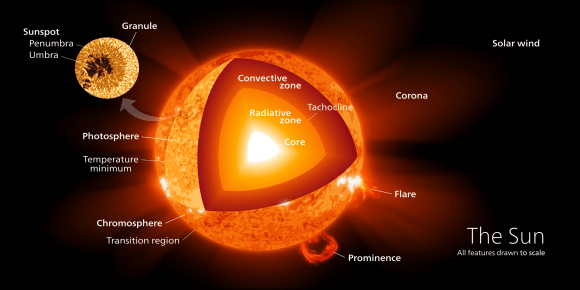 *The Sun, being a mass of incandescent gas, doesn’t have a “surface” like rocky planets do so in this case we’re referring to its photosphere and chromosphere. Here’s yet another glorious photo of our home star, captured and processed by New York artist and photographer Alan Friedman on August 24, 2014. Alan took the photo using his 90mm hydrogen-alpha telescope – aka “Little Big Man” – from his backyard in Buffalo, inverted the resulting image and colorized it to create the beautiful image above. Fantastic! Hydrogen is the most abundant element in our Sun. The “surface” of the Sun and the layer just above it — the photosphere and chromosphere — are regions where atomic hydrogen exists profusely in upper-state form, and it’s these layers that hydrogen alpha photography reveals in the most detail. In Alan’s image from Aug. 24 several active sunspot regions can be seen, as well as long snaking filaments (which show up bright in this inverted view – in optical light they appear darker against the face of the Sun) and several prominences rising up along the Sun’s limb, one of which along the left side stretching completely off the frame a hundred thousand miles into space! Click here to see the image above as well as some close-ups from the same day on Alan’s astrophotography website AvertedImagination.com. And you can learn more about how (and why) Alan makes such beautiful images of our home star here. Photo © Alan Friedman. All rights reserved. As we’ve mentioned before, the Sun is a terrifying ball of plasma. It’s a good thing we’re keeping an eye on it. And that eye is the Solar and Heliospheric Observatory, or SOHO. Operating for more than 18 years now, SOHO has been making detailed observations of the Sun’s activity though an almost entire solar cycle. With so many years of operation, SOHO has some amazing stories to tell.